As winter approaches, an innovative heat source will be keeping Amazon's new corporate headquarters in Seattle warm. 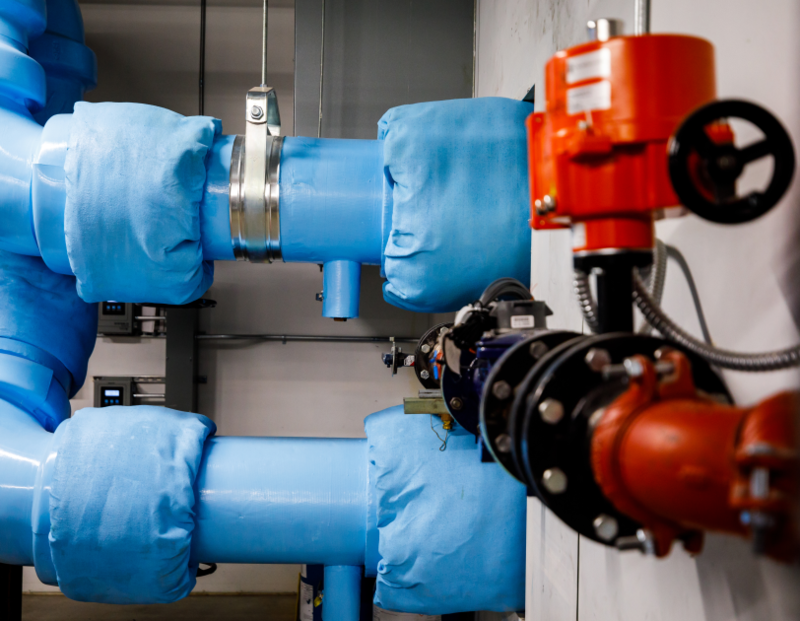 Instead of employing a typical boiler system, the offices in The Regrade rely primarily on an underground "eco-district" that carries recycled energy. An enormous cooling stack on the roof of the Doppler office tower disposes of any heat brought over from the carrier hotel that exceeds Amazon's needs. Two 16-inch iron pipes connect Amazon's HVAC plant with the carrier hotel across the street. 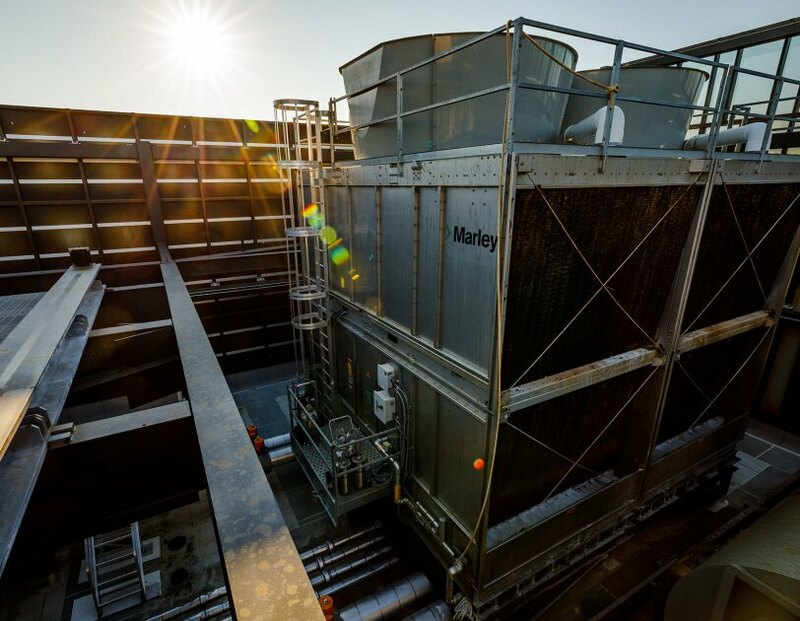 Warm water enters the plant through the top pipe, circulates through the equipment and is sent back cooled through the bottom pipe, all in a closed loop. 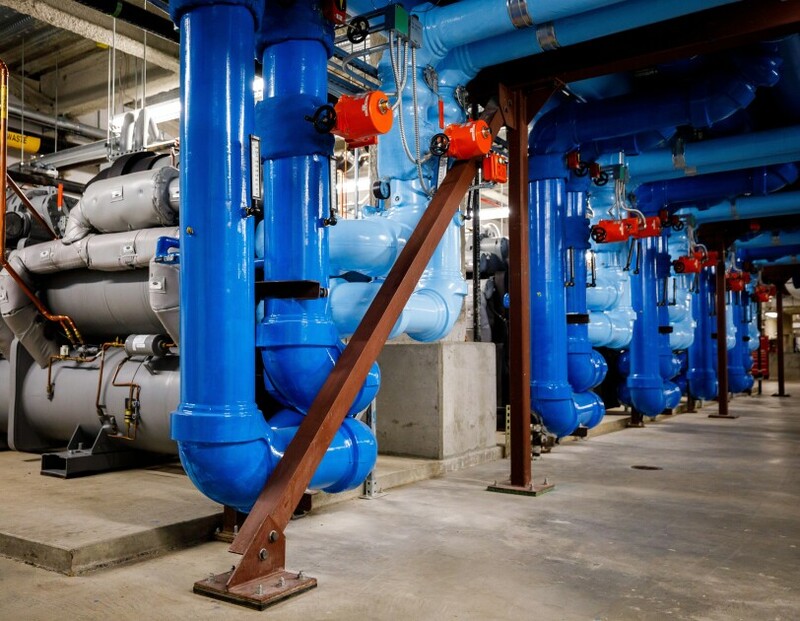 Five industrial chillers in the HVAC plant hidden in Doppler's basement move energy from a large volume of 65°F water (brought over from the carrier hotel) to a smaller volume of 130°F water, which is pumped to air handlers distributed throughout Amazon's four existing Regrade buildings. Fine-grained control is an important element of keeping Amazon's planned 5 million square feet of Regrade office space comfortable. 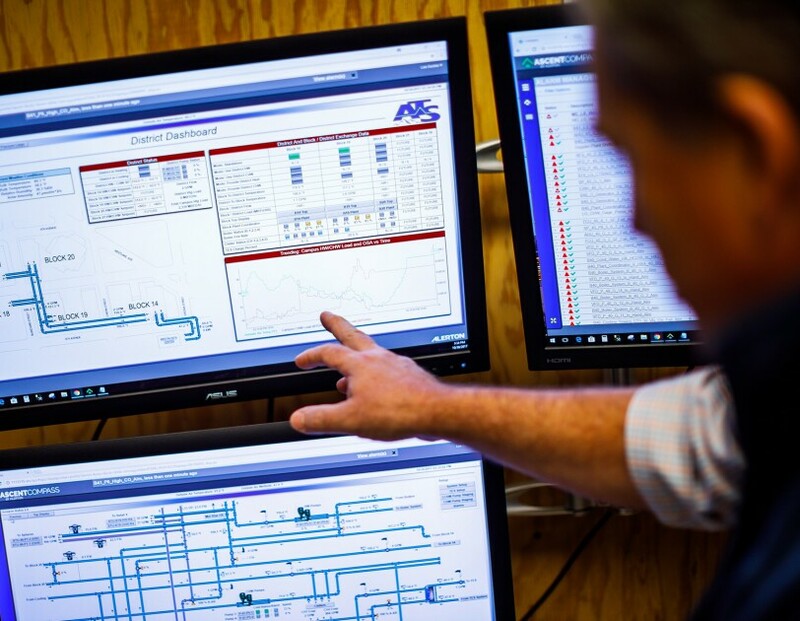 A master systems display empowers facilities engineers to route heat to exactly where it's needed as conditions change throughout the day. 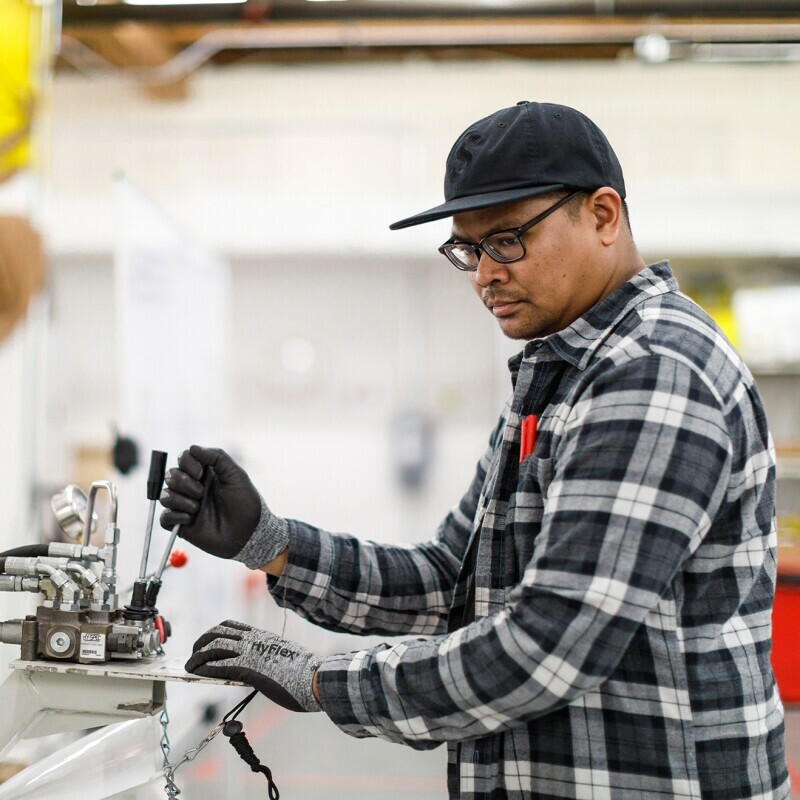 Rarely required in the two years since the system was brought online, hyper-efficient backup boilers are housed inside Doppler that can bring additional heat into the system should the energy from the carrier hotel be insufficient for Amazon's needs. 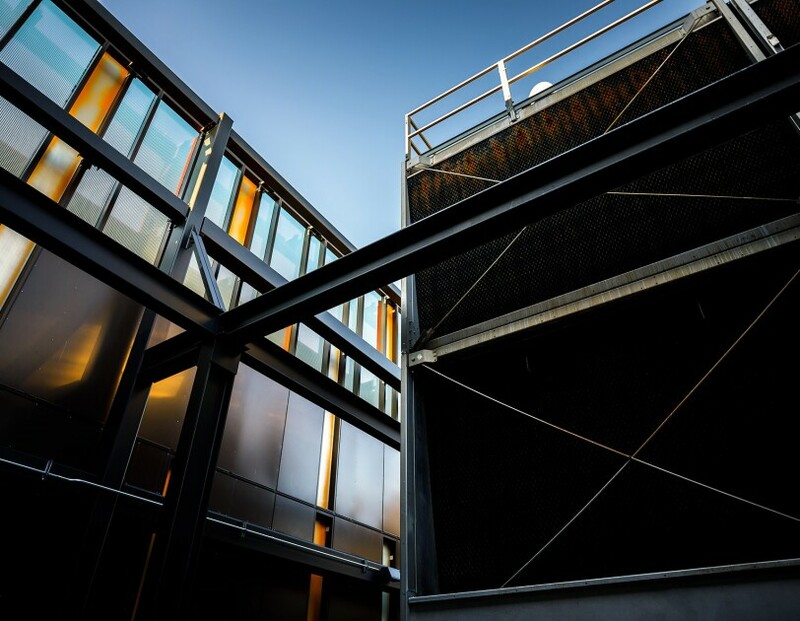 Doppler’s architects hid the massive rooftop apparatus behind a false façade to provide the building’s silhouette with a clean transition to the sky. 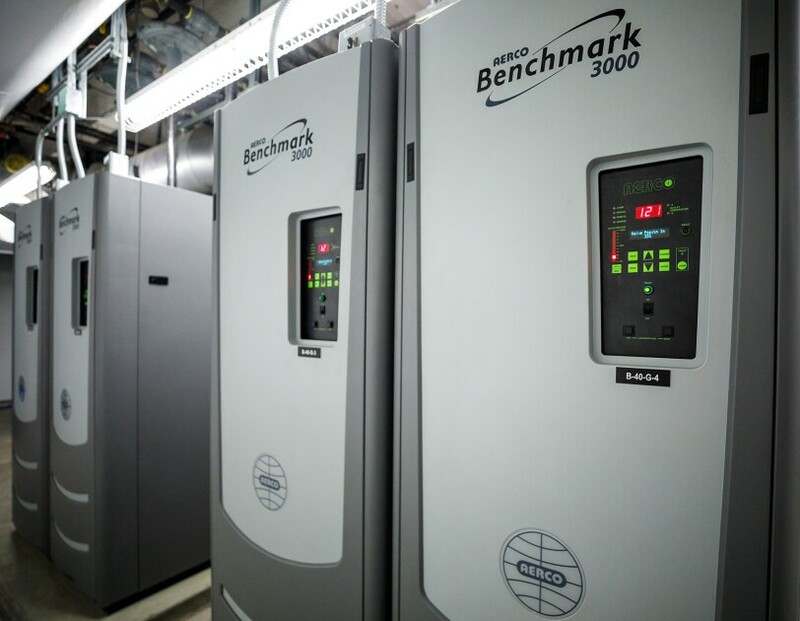 I'm familiar with other properties that have used waste heat from a data center, but not across owners. That's what made this one a little unique. 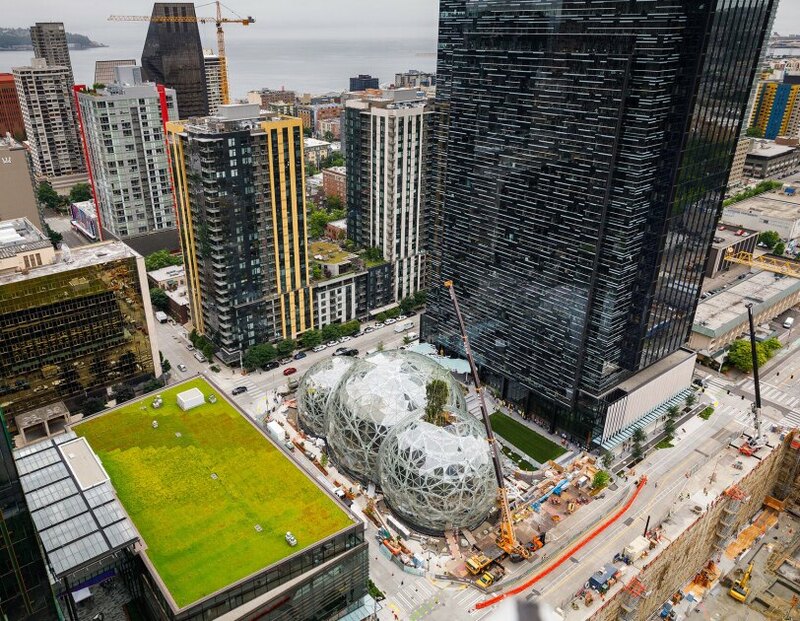 Amazon's district energy system required collaboration across city agencies, development firms, architects, and engineers—not to mention Westin and Amazon itself. There were skeptics who didn't think the idea would work, Moriarty acknowledges. 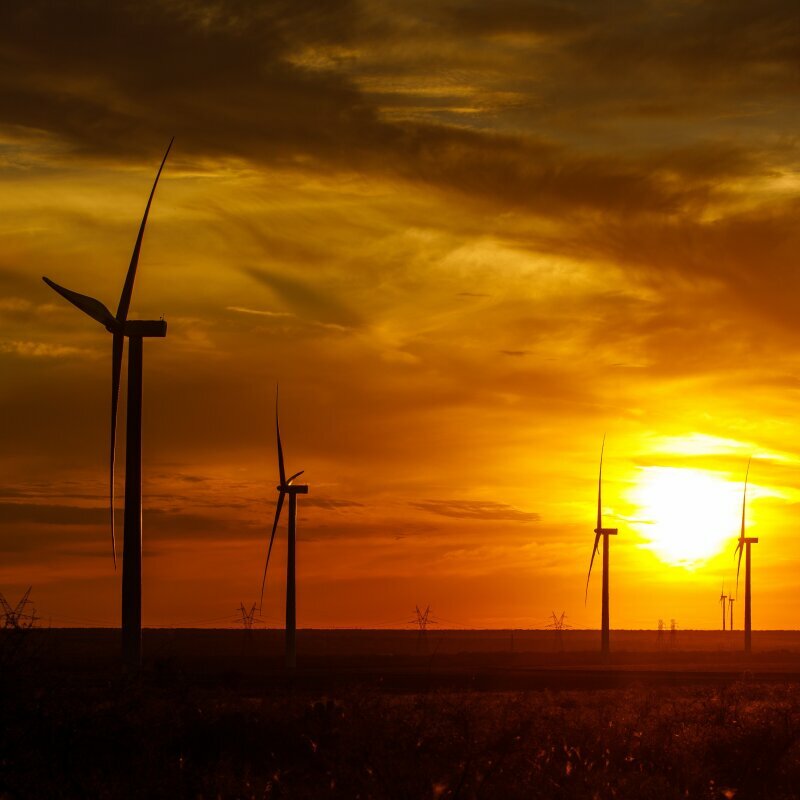 Amazon's largest wind farm to date is adding more than 1 million megawatt hours of clean energy to the grid each year.